On her new album, Glass Song, Moscow-born pianist/composer Yelena Eckemoff celebrates the season of renewal that ushers winter into spring with a mesmerizing set of crystalline beauty, available February 19, 2013 on L & H Production. In crafting this, the latest expression of her gorgeously delicate blend of classical intricacy and jazz invention, Eckemoff brings together two of modern music's greatest improvisers for the first time: bassist Arild Andersen and drummer Peter Erskine. Eckemoff herself is no stranger to rebirth. Classically trained, she has successfully transitioned into a strikingly assured jazz composer; raised in the Soviet Union, she fled her repressive homeland and has lived in the United States for the past two decades. Her evocations on spring's rejuvenating thaw vividly illustrate her life experiences, as she hints in her liner notes. "The same way as spring is always certain to replace even the most severe winter," she writes, "hope is eternally present in the least favorable situations and in all circumstances of life." Eckemoff frequently turns to images of nature when composing, from the wintry landscapes of Cold Sun to the serene breezes of Grass Catching the Wind. But as she explains, the seasons suggest the constant change and evolution in life, which is even more important to her music. "I get inspired by nature a lot, because everything comes from nature," she says. "But the observation of nature isn't really my priority. I've had very, very rich experiences in my life, and the music I write expresses those feelings." Glass Song conjures images of sun glinting off of ice and frost melting away from windowpanes. It is also quite literal on the title track, which begins with the sound of Eckemoff playing water-filled glasses. But those concepts are equally present in the airy chill that opens the first track, "Melting Ice," or in the shimmering rhythms of "Dripping Icicles." The trio that Eckemoff has assembled to help realize these reflective visions is composed of two of jazz's most creative minds--who remarkably had not worked together prior to this recording. The legendary Erskine played with Weather Report and Steps Ahead in the early years of a career that has now spanned four decades and includes recordings and performances with everyone from Steely Dan to John Abercrombie, Joni Mitchell to Gary Burton and Pat Metheny. Norwegian bassist, Andersen, has an equally impressive resume, encompassing a six-year stint in the Jan Garbarek Quartet and more than a dozen albums as a leader for ECM. Erskine had worked with Eckemoff on two earlier CDs, but the pianist had been searching for an opportunity to work with Andersen for a number of years, and Glass Song provided the perfect collection of material. "I was really excited about having the opportunity to put together those two giants for the first time," Eckemoff says. The combination works spectacularly, three distinctive voices seeming to breathe as one. The sensitivity of Erskine and Andersen serves Eckemoff's fragile compositions with an airy but sure touch. The lush serenity of the leader's piano is matched by the singing caress of Andersen's bass and the hushed precision of Erskine's percussion. The trio shares a deep intimacy while remaining attuned to the spaciousness of the pieces, all captured in the wondrously lush sound of the recording. Eckemoff herself began playing piano at the age of four, studying first with her mother Olga, a professional pianist, then at the prestigious Gnessins Academy of Music and the Moscow State Conservatory. Despite the repressive atmosphere in the Soviet Union at the time, she began to explore rock and jazz music with other like-minded musicians. "Everything from the west was prohibited at that time," she recalls, "and jazz was one of those things. But there was a jazz studio formed by some activists who were also professional musicians and we studied traditional jazz. I used jazz principles in my composing, which put me on a different path from other musicians." Eckemoff stepped away from her life as a concert pianist for several years to concentrate on raising her children. She finally left the Soviet Union with her husband, momentarily leaving her three children behind. "That was the hardest thing I ever did," she says, "but we had the drive to leave Russia. It was a very hard and scary thing to do, but it worked out and we never regretted it. It ended up helping me in my musical development because I had much deeper spiritual experiences because of it." That sense of spiritual comes vividly to life in pieces like the sun-dappled "Sunny Day in the Woods" or the tender, evanescent "Sweet Dreams." While the titles are accurate depictions, they're almost unnecessary given the illustrative, purely emotional music itself. Once resettled in the States, Eckemoff returned to recording, taking advantage of modern recording techniques. Since then she has been stunningly prolific, first with classically oriented recordings and then with her reinvention as an elegant jazz musician in the past several years. "Some people dance, some people sing, some people write," Eckemoff explains. "When I feel something, I compose. It's almost like I can't stop it. My head is always filled with music. If I couldn't write music I think I would just explode. Life is sometimes sad, but I find escape in writing music. I'm happy because I can do it." 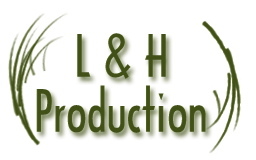 Yelena Eckemoff recording "Melting Ice"
"...L & H Production is doing amazing work in the marketing and distribution of this recording which was produced by Eckemoff. Going out on a limb would be the classic undersell to tell you this may be the finest piano trio you will ever hear in modern jazz. Glass Song is somewhat conceptual in nature with an underlying beauty of winter turning into spring and Eckemoff's glorious transformation of sound into another dimension allows you to experience this phenomenon first hand. Three voices merging as one with a synergy of sound and silence that moves with an ebb and flow of new life emerging from old. A sublime experience to be savored. Three incredible voices join as one to transform the spirit of the compositions to a level of intimacy and beauty rarely heard. Yelena Eckemoff gives a stunning performance and the genius of both Arild Andersen and Peter Erskine are the perfect compliment." 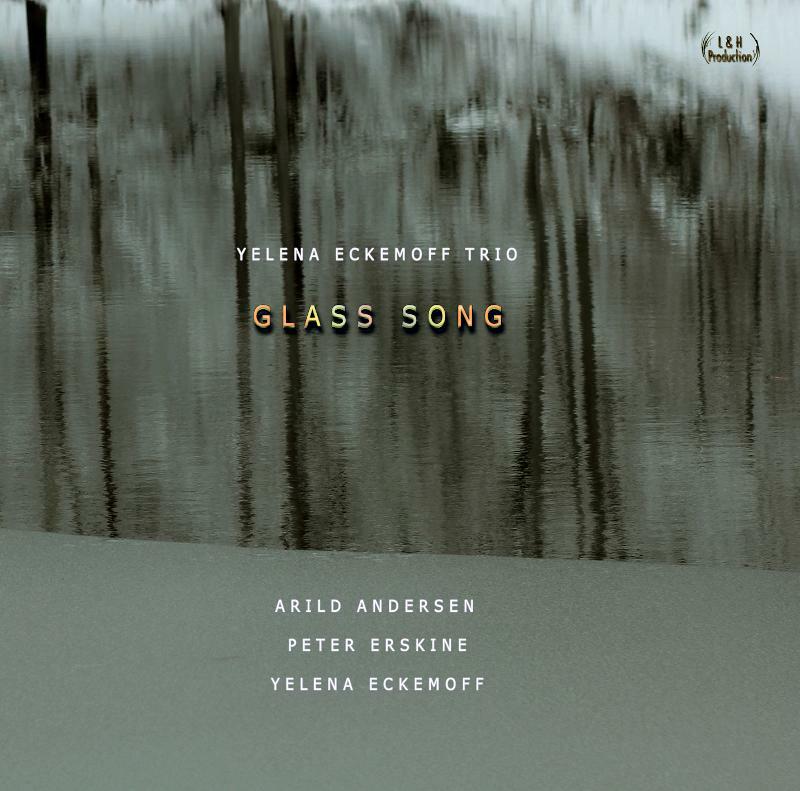 "...Eckemoff has had the great Peter Erskine drum on two of her prior albums, but Glass Song adds even more star power with the addition of one of Europe’s finest bassists, Arild Andersen. Interestingly, this is the first meeting on record of Erskine and Andersen, which is unexpected since both have recorded extensively for the ECM label. This meeting alone makes this album enough reason to listen to it, but, undoubtedly, it’s not the only one. Being compared to that aesthetic is no failing by far, but this is also one of those records you really have to listen up close to appreciate. There’s the key jazz marker of improvisation present on Glass Song (especially from Andersen), but Eckemoff puts prime focus on melodic development, graceful execution, subtly shifting moods and minimalism to connect to the listener. That means that the listener has to listen with as much of a classical ear as a jazz ear..."
"...Eckemoff, Andersen and Erskine create music that's focused, yet free floating, and open, yet never nebulous. Pure melody is of less importance than the greater narrative in each number, but the music still sings out with melodic grace. While Manfred Eicher and his storied label have nothing to do with this record, Glass Song has that "ECM sound," if ever it existed. Mystery, blooming musical thoughts and vaguely haunting notions are at the heart of this captivating album."